PAs: Are You Looking For a New Position? Employers: Are you Looking to Advertise your PA Position? Contact the OB/GYN site in which you rotated through for offices/hospitals in which they know are hiring or could use your help. Contact one’s own personal OB/GYN provider or the OB/GYN provider of a family member for offices/hospitals in which they know are hiring or could use your help. Contact an APAOG member in your job search area via the APAOG membership directory (Members Only) and ask if they know of any openings or have any suggestions for your job search. View opportunities on State Chapter PA websites. Check the Classifieds section of PA Journals (ie JAAPA, Physician Assistant). Check the Career Section of newspapers (note: look under and answer to NP and Physician ads as well as Physician Assistant ads). 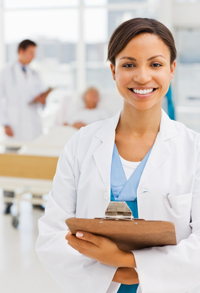 Mass mail your resume and cover letter to local OB/GYN offices/hospitals. Stop by or call local OB/GYN offices/hospitals and demonstrate your interest in employment and educate them on what a PA can do for their patients. Please refer to the AAPA census which can be viewed under the Professional Practice Issues section on this Web site. For information on salaries in your specific area, please go on the AAPA Web site (www.aapa.org) to Employment and then to Candidate Resources where the information can be obtained through the option of Customizing Salary Profiles. Know how you can best help the practice which you are applying to and be able to answer why the practice should hire a PA rather than another mid-level provider. Know the salary range for PA’s in your area. Know which benefits you will not compromise on. Know the number of OB/GYN PA’s practicing in your state and if possible, in your local region. Know the positive qualities you possess and understand your limitations. Be yourself and GOOD LUCK!